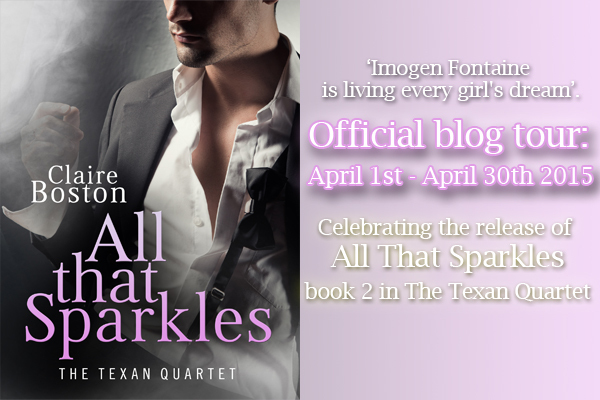 Romance novelist Claire Boston is a guest on my blog today as part of her blog tour, and she’s going to talk about creating fantastic characters with particular reference to her new novel, All that Sparkles, part of The Texan Quartet. 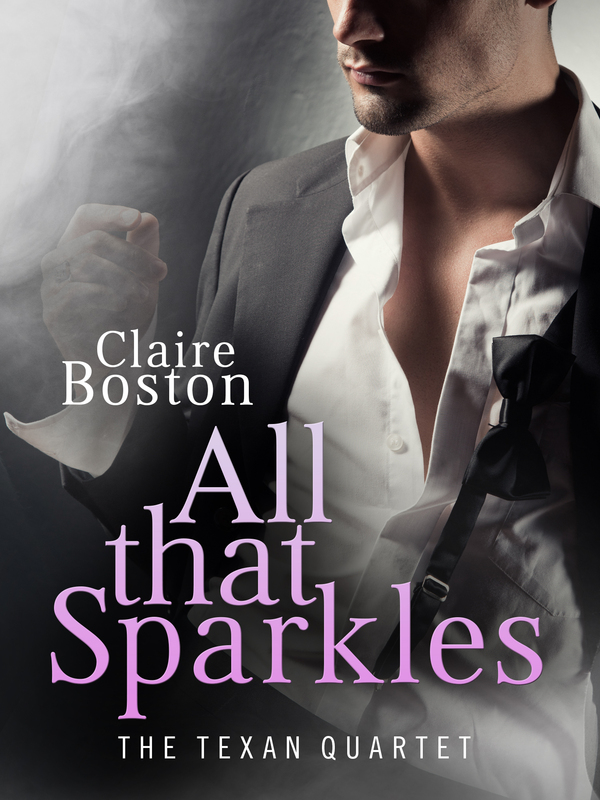 Claire was a voracious reader as a child, devouring anything by Enid Blyton as well as series such as Nancy Drew, Trixie Belden, The Baby-sitters Club and Sweet Valley High. Then one school holidays when she’d run out of books to read, her mum handed her ‘Hot Ice’ by Nora Roberts and she instantly fell in love with romance novels. It’s my belief that characters are at the very centre of any story. Without good characters, the reader won’t care enough to read on, no matter how good the plot might be. So when it comes to crafting characters my process has grown over time. I added in their occupation, maybe a little about the family background and got to work. Needless to say my characters didn’t leap off the page for my early stories. Then someone recommended Goal, Motivation & Conflict by Debra Dixon. It’s a really easy read and I have gone on to recommend it to many others. I learnt my characters had to want something, there had to be a reason why they wanted it and there had to be something stopping them getting it. So the character’s goal, motivation and conflict were added to my character profile. 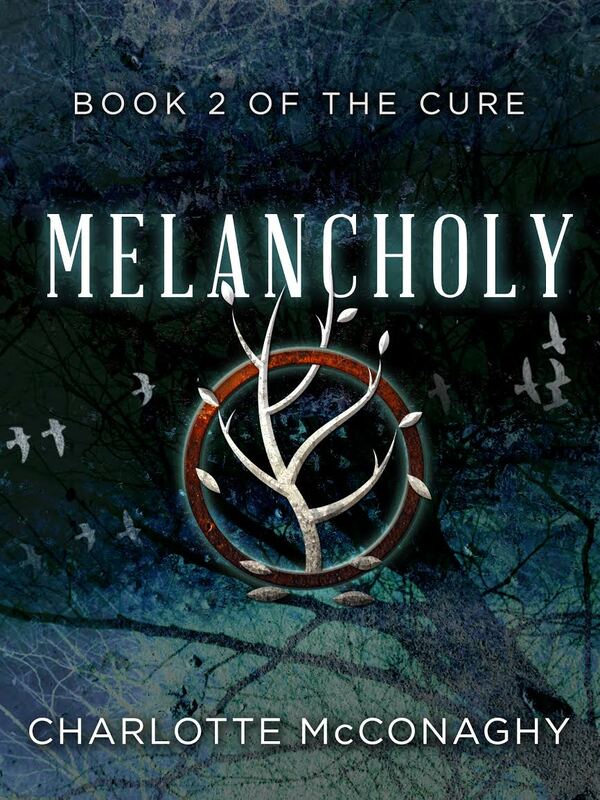 Today I’m delighted to feature the wonderful Adèle Geras on my blog. 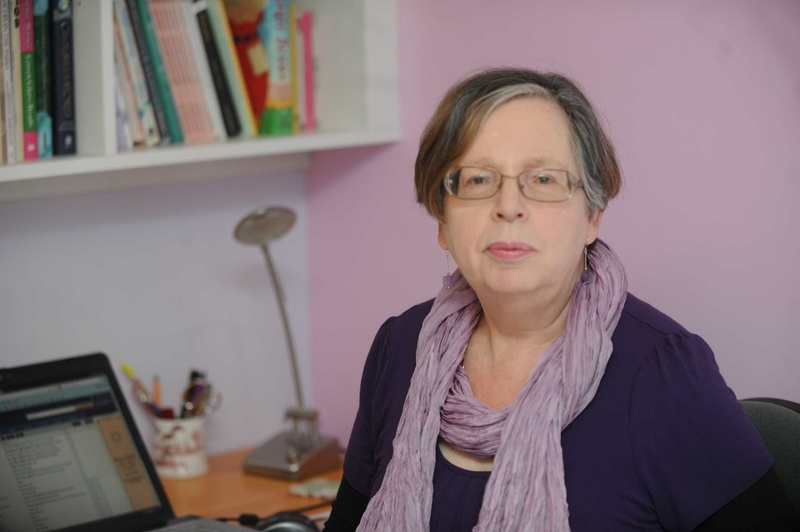 Adèle is a renowned British author who has written more than 95 books for children, young adults, and adults. Her best-known works for young people are Troy(shortlisted for the Whitbread Prize and Highly Commended for the Carnegie Medal); Ithaka; Happy Ever After(previously published as the Egerton Hall trilogy) Silent Snow, Secret Snow, and A Candle in the Dark. 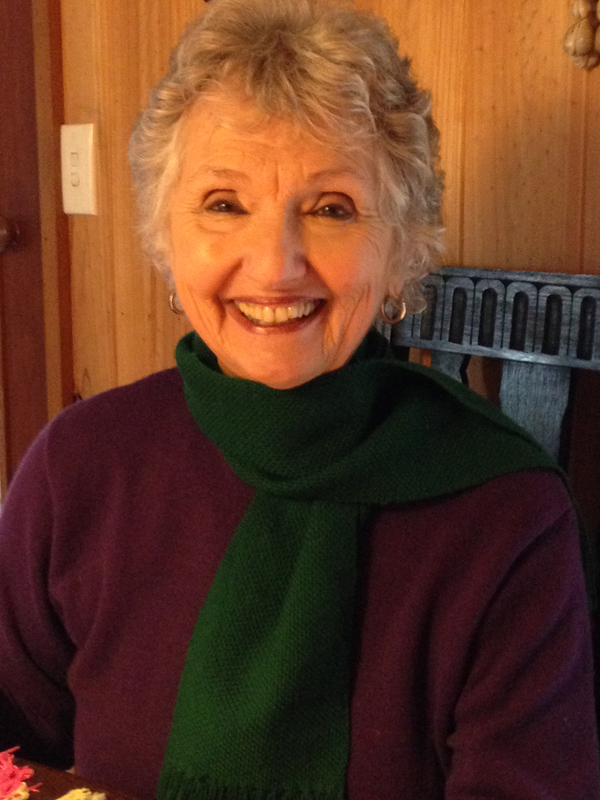 Her novels for adults include Made in Heaven, Cover Your Eyes, and A Hidden Life. 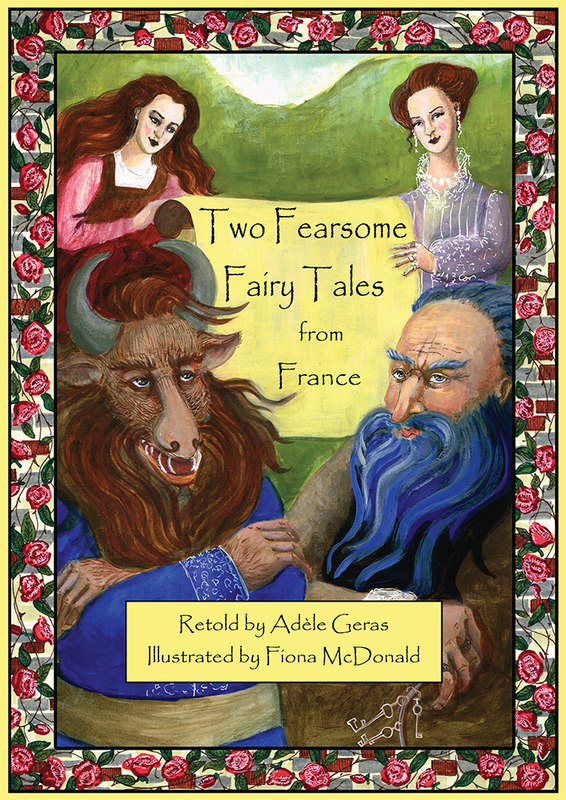 This week, her latest book, Two Fearsome Fairy Tales from France, with gorgeous illustrations by Fiona McDonald, comes out with Christmas Press, and to mark it Adèle has written about why she loves retelling fairy tales. This week, two fairy tales, retold by me, are going to be published by Christmas Press in Australia. The book is called Two Fearsome Fairy Tales from France. They have been beautifully illustrated by Fiona McDonald. I love the look of this book. The designers have found a fairytale font that I’d never seen before and the whole production is gorgeous. I can’t wait for it to appear. I’m a bit evangelical about fairy tales. I was brought up on them. Almost the first thing I can remember reading for myself was a version of Rapunzel. I can bring to mind even now, decades later, the look of my edition of Andersen’s stories ( which are not all traditional, of course) with Rex Whistler’s illustrations. I think it is important that children can still read the story, and not just look at Hollywood versions of these tales. Retelling fairy tales is one of the things I like doing most as a writer. The reason I’m often asked to do this is, I think, because back in the 90s, I wrote a trilogy of novels based on fairytales, set in my old boarding school, Roedean. They are now published together as a book called Happy Ever After. Shortly after they came out I was commissioned to retell some fairytales and that book (Beauty and the Beast and Other Stories) is the one from which my Two Fearsome Fairy Tales from France are taken. I’ve also retold The Six Swan Brothers as well as Cinderella and Sleeping Beauty. For a lazy writer like me, it’s a real pleasure not to have to think of a plot. I always find working out the plot the hardest thing of all. I always have to scratch about a bit when I’m writing something original. This is never a problem with fairy tales. They are there, and the reason they have lasted for so long and have been passed down over the centuries is because they are very good stories, dealing as they do with the most basic aspects of human existence: love, death, ambition, jealousy, fear, etc. They teach us that good will triumph, that the wicked will be punished and that it never hurts to be polite….look what happened to the unfortunate sister who was rude to an old woman by a well and ended up spewing toads and vipers from between her rosy lips. Wonderful characters abound in fairy tales. Princes, monsters, ogres, dwarves, dragons, beautiful damsels who turn out to be braver and cleverer than they know, dreadful mothers, wonderful nurturing mothers, horrible husbands (Bluebeard is a lulu!) and envious siblings. The writer has nothing to do but let the narrative unfold and all is well. This might be thought boring but it’s not. Just as having a fourteen – line limit for a sonnet is liberating rather than restricting, so the fact that you can’t change things too much makes you concentrate on the language. And that’s where the fun starts. I strive to make the words themselves as resonant and beautiful; as suitable to the tale I’m telling as I possibly can. I hope very much that everyone who reads my versions of Beauty and The Beast and Bluebeard goes on to read lots more fairy tales told by lots of other people. 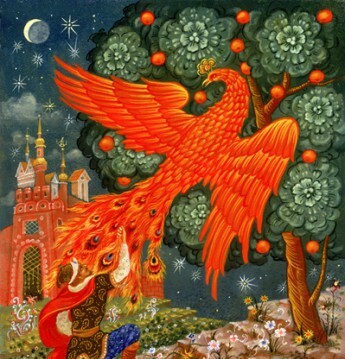 And I hope that someone asks me to retell another fairy tale, one of these days…. Today we thought you might enjoy some titbits of intriguing Mikhail Strogoff trivia! The influence of Jules Verne’s greatest novel isn’t just felt in literature and film, it is also referenced in several unexpected ways. In France, the novel has left its mark on the landscape, with several streets, especially in Amiens and the Somme region, where Verne came from, named after our hero, such as Boulevard Michel Strogoff in Longueau and Rue Michel Strogoff in Cergy. 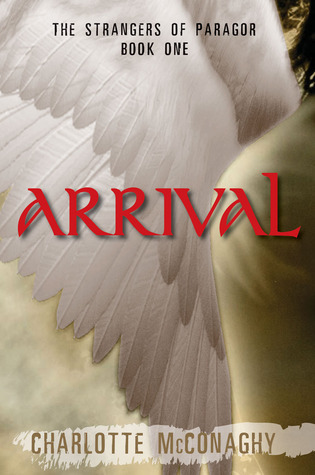 Cover reveal for Trinity: The False Prince! Drum roll: Very excited today to reveal the gorgeous cover of the second Trinity book, Trinity: The False Prince! That’s the atmospheric background of the spectacular Moscow Metro, by the way. Isn’t it evocative! 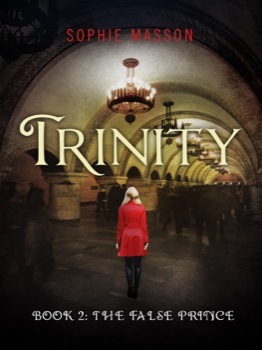 Trinity: The False Prince will be out on October 8 in digital format, and November 15 in print format. Can’t wait! 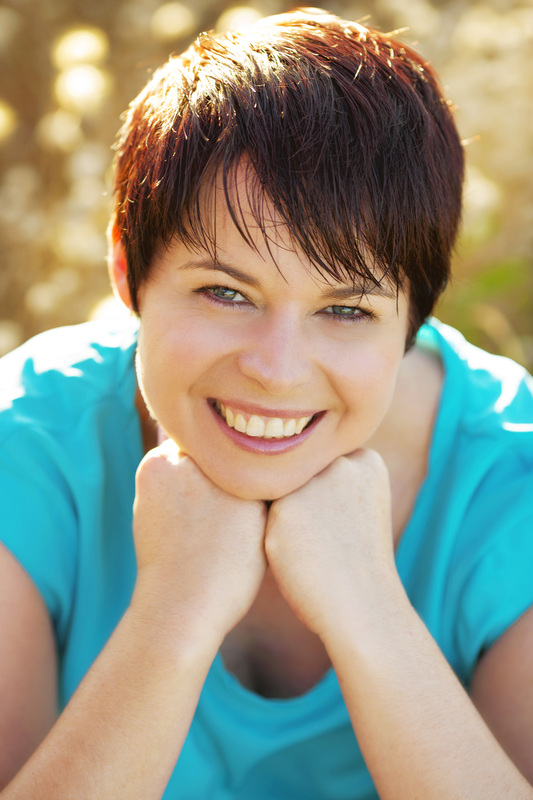 Over a year has passed since the events that changed Helen’s life forever. 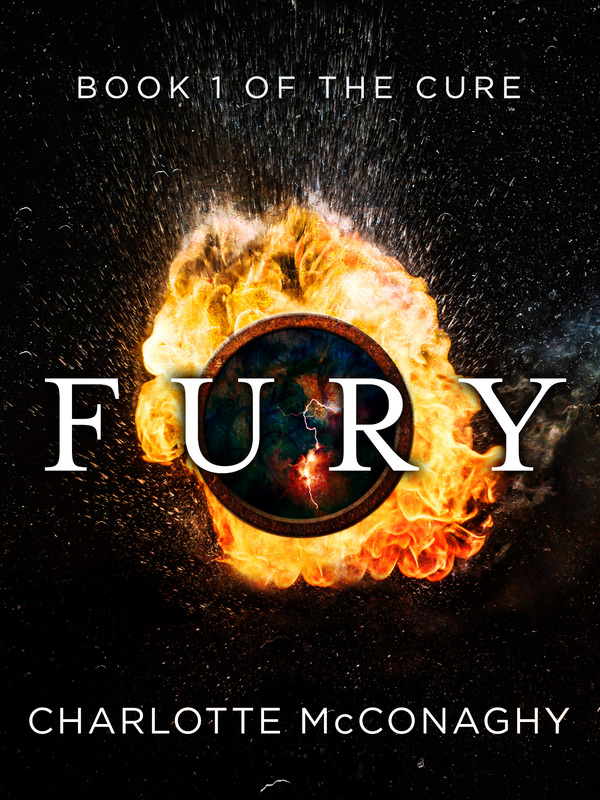 With Maxim and her other friends, she is fighting to uphold the legacy entrusted to her, but struggles with the weight of memory, the stress of trying to keep Trinity afloat, and the continuing manipulations of the company’s enemies. Meanwhile, in a remote coastal settlement in southern Mexico, a young fisherman is made an offer he can’t refuse. This triggers a chain of events which will completely transform the struggle for Helen’s ownership of Trinity and the secrets of the Koldun code. 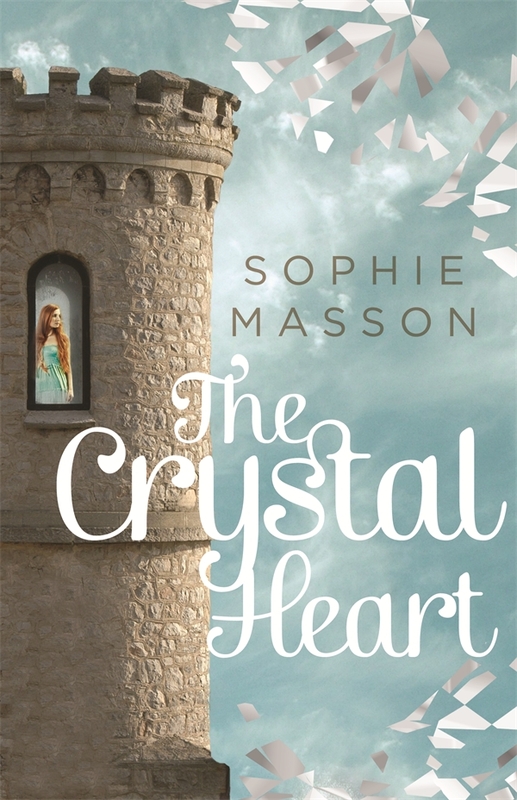 For anyone interested in knowing more about my novel The Crystal Heart (named as a CBCA Notable Book this year) I have a guest post on creating the world of the book, on Goldie Alexander’s blog. Following is a short extract. You can read the full thing here. 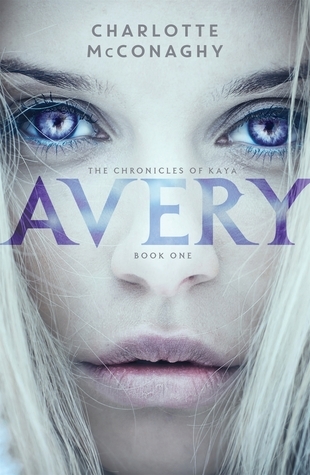 The Crystal Heart is set in the military state of Krainos, a small country which is on a constant war footing due to its enmity with the underground, magical realm of Night. But it’s also partly set in Night itself, an amazing realm which is much more advanced than Krainos. 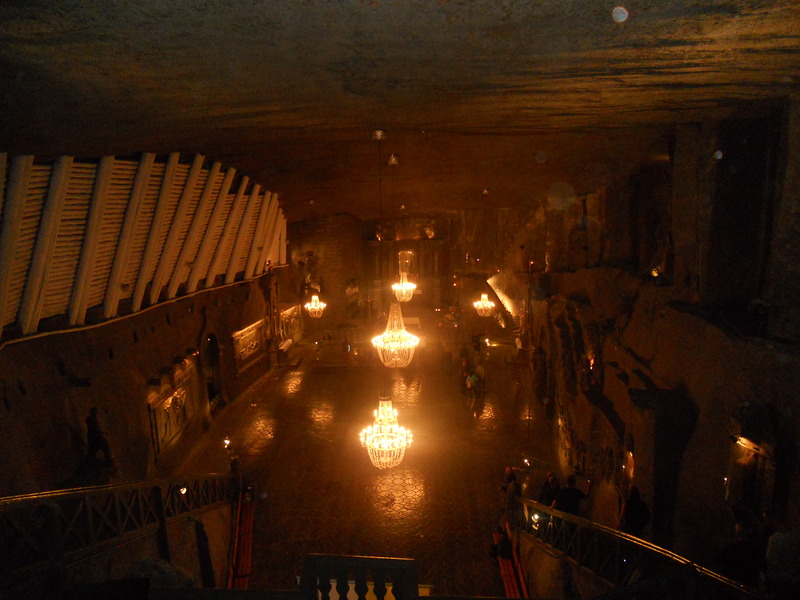 Some of the elements of the kingdom of Night owe their inspiration to two things: first, a magical, extraordinary place in the real world, the Wieliczka Salt Mines near Krakow in Poland, http://en.wikipedia.org/wiki/Wieliczka_Salt_Mine , which I visited in 2012. The other inspiration for the underground setting was one of my favourite childhood books, George MacDonald’s classic fantasy novel for children, The Princess and the Goblin. I disliked the goblins but was fascinated by their underground kingdom! 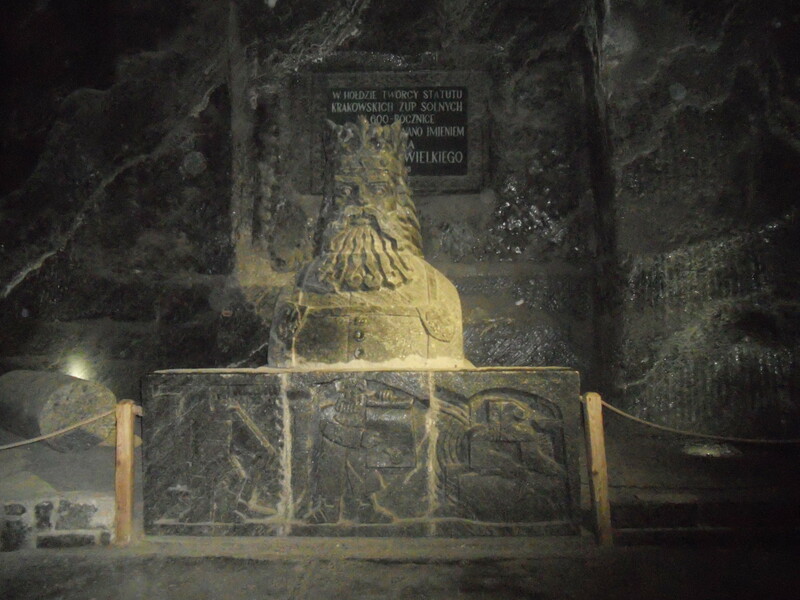 And when I saw the Wieliczka Salt Mines, those nasty goblins from George MacDonald’s book morphed into even nastier ones in my world! Last week, I featured a guest post by Wendy J.Dunn, about how she creates her historical fiction. Today, I’m presenting a guest post from Goldie Alexander on a related subject–the importance of fictionalising history. 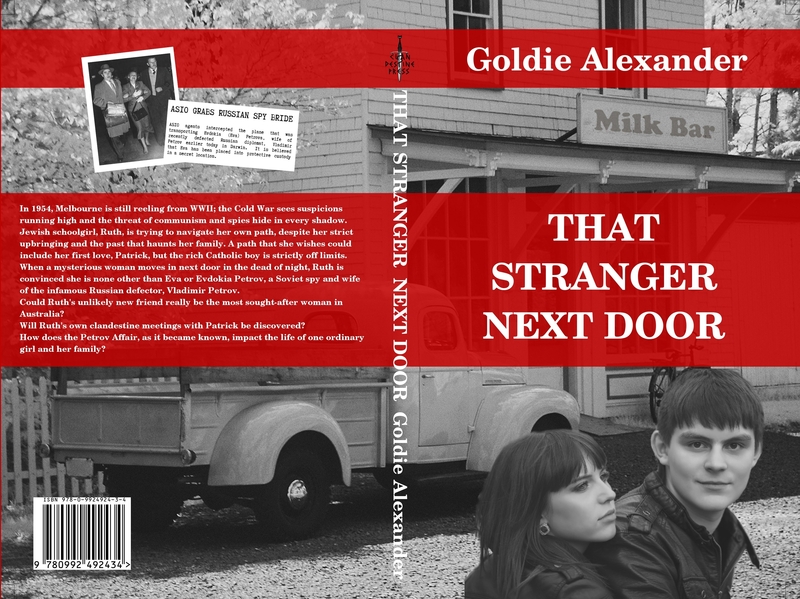 Goldie Alexander writes award winning short stories, articles, radio scripts, plays and books. 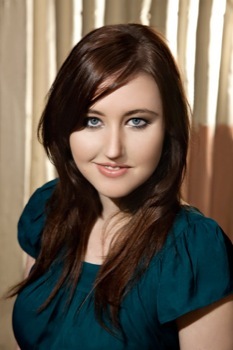 Her novels are published both in Australia and overseas for readers of all ages. 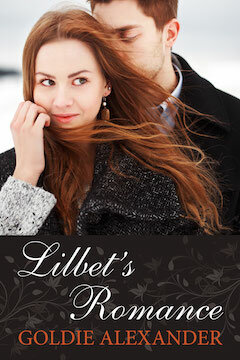 Her books for adults include: ‘The Grevillea Murder Mysteries’ ‘Lilbet’s Romance’, Dessi’s Romance’, ‘Penelope’s Ghost and ‘Mentoring Your Memoir’. Her first YA novel ‘Mavis Road Medley’ was a Notable CBCA, was shortlisted for by the Office of Multi-Cultural Affairs and is listed as one of the best YA books in the Victorian State Library. 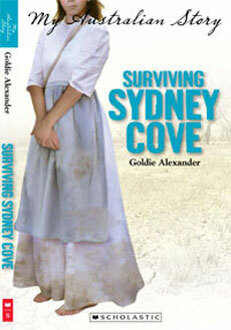 Her best known book for children is: ‘My Australian Story: Surviving Sydney Cove’. Her fiction for children includes three collections of short stories and several mysteries, fantasies and science fictions. 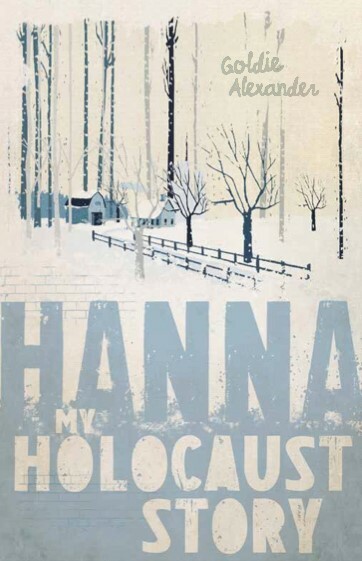 Her other historical fictions include: ‘The Youngest Cameleer’, ‘That Stranger Next Door’, My Holocaust Story: Hanna’ and the verse novel ‘In Hades’. 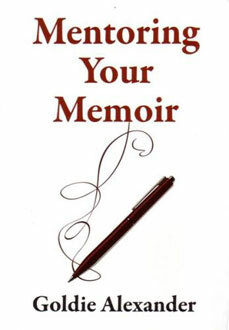 She has also co-authored a non-fiction book, The Business of Writing for Young People, with fellow writer Hazel Edwards. Back in the dark ages the history I was taught when very young consisted of memorising facts and dates. I could recite all the kings and queens of England, though I knew almost nothing of our own history. I recall with wry amusement a first year university British History course made up entirely of 16th Century documents, but with no explanation as to why I was required to understand them. In a way fictionalizing history is writing about time. Time is the element in which we all live much like fish in water and yet the realisation that time flows on and on and never flows backward is one of the most stunning of childhood discoveries. Time is what makes discovering history so important, because time is the narrative of mankind. It provides answers as to how people lived in the past as well as the roots of contemporary laws, customs, and political ideas. The accuracy of that old adage, “you can’t know where you are going unless you know where you have been” holds true. Historians realize history does repeat itself, though with different permutations. This repetition has importance in all societies. It teaches younger generations the value of certain social attitudes, it helps social change and gives sound governmental policies. A good example is the Aborigines of Australia who managed to hang onto their history for 40,000 years by word of mouth. A knowledge of history clearly proves early man’s love of the arts and demonstrates that once a civilisation is able to maintain a steady food supply that their creative ideas flowed whether the evidence appeared on rock walls, papyrus, or cedar bark. It goes without saying that all historical fiction in whichever medium it appears (film, TV, or novel) must be based on careful research. My favourite faux pas is Elizabeth Taylor’s ‘Cleopatra costume’ with its frontal zip and the extra wearing a watch. Does anyone here recall that? Nothing is more irritating coming across a glaring error such as dialogue set well in the past in the past using a contemporary idiom. There are certain rules we authors keep. We know that good historical fiction has a strong internal logic and is easy for young readers to follow. If the story darts too quickly between ‘times’, unless this is carefully stated, this can confuse even a sophisticated adult. And the story must contain some kind of quest. The characters must have a clear idea of what they desire or fear. They must be wholly rounded, and as three dimensional as if living in the present. The reader must be able to identify with these characters and feel empathy or compassion for their situation. Some writers worry that readers might not like characters who exhibit typical prejudices of their time. But flawed characters who gain the readers’ sympathy and understanding despite their flaws are a key element of good fiction. Good historical fiction balances a characters’ flaws with qualities we can respect and admire, and gains sympathy for them without excusing prejudice, cruelty and the like. Browsing, I came across this comment in Good Reads; “Historical fiction gives me the opportunity to engage with what it would be like to live in those times. 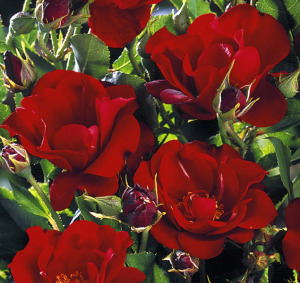 It is always great when you find a good source and even more so if that source confirms what you have already imagined. There is so much to learn from the past, it would be waste to just write about our day to day presence. Writers are often chastised for writing about the past – as if only 21st Century problems are relevant, as if writing fantasy is the only way we will persuade youngsters to read. Certainly there are vogues involving vampires, zombies, super- adventurous girls, and a heap of Tolkien-style fantasy. In the end I doubt they will have a long life. These novels are often commercially driven and may only last until something new takes over. On the other hand history is never out of fashion and fictionalising it, is the best way of ensuring that some understanding of past mistakes might prevent them happening again.